This is recipe #2 of the Oster Kitchen Conversations with Patty Laurel-Filart and Sinfully Sabrina. 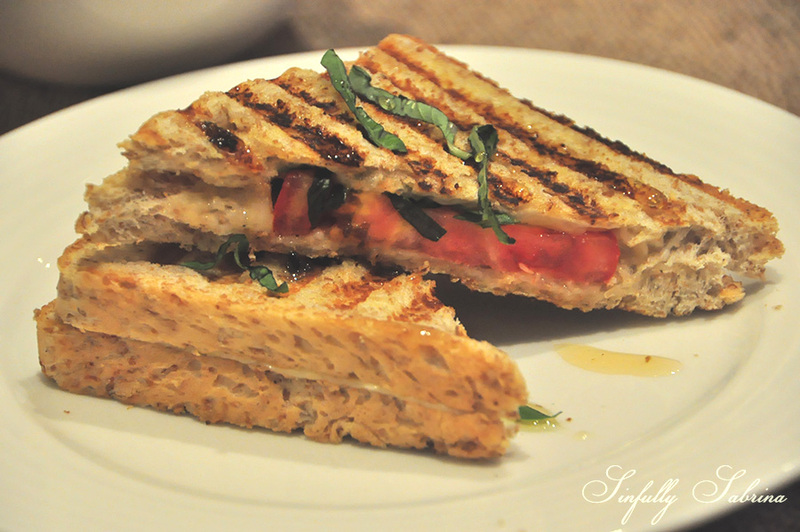 An easy and oh-so flavorful sandwich! By the way, I made my own truffle honey here. I was lucky enough to be given a bottle of truffle paste from my brother, Chico (THANK YOU CHICO!). It was just a matter of mixng 1 Tbsp. of Truffle paste and 1 and 1/2 cup of wild (local) honey. If you've read my past posts, you will notice that this recipe is similar to my Grilled Cheese and Basil Sandwich with Tomato-Balsamic Jam. We used the Oster Double Contact Grill to get those lovely grill marks making it nice and toasty. No, that is not my blinged-out hand, it's my friend Monica's hand. Getting her to arrange it got her excited to make it at home. Yey! Mission accomplished! Layer bread with Havarti cheese, tomato, a pinch of basil chiffonade and parmesan cheese. Butter or brush the bread with a little olive oil or nothing at all. 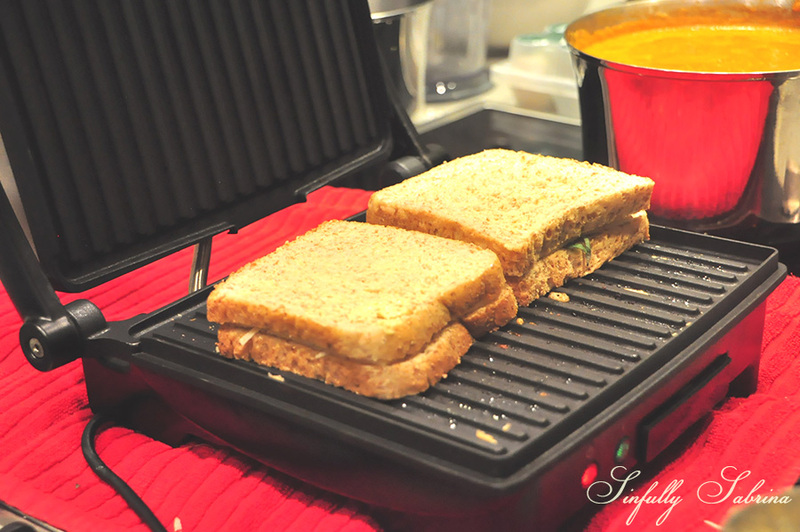 Grill until golden on Oster’s Double Contact Grill or panini maker. Slice diagonally and drizzle each sandwich with truffle honey. Serve.